Not feeling traditional holiday decor this year? Check out these adorable Southwest inspired decorations and get into the spirit with some desert vibes! Feel good about decorating the tree this year with the cutest felt cactus ornament! Not only is it adorable but it is also a certified Fair Trade product which means it gives back to the workers who handcrafted it! A fun twist to the traditional tree topper! We love all these warm tones and the elephant is just too cute to pass up. This little faux potted cactus comes fully dressed in rainbow string light and makes a great Southwestern holiday desktop/tabletop decor piece! We love good Etsy finds! They said it best: "These cacti won't prick you but they will make your gifts look super cute." We are hopping on the warm toned holiday decor this season. This charming strand by Merkury Innovations is perfect for adding a little extra sparkle to your space. 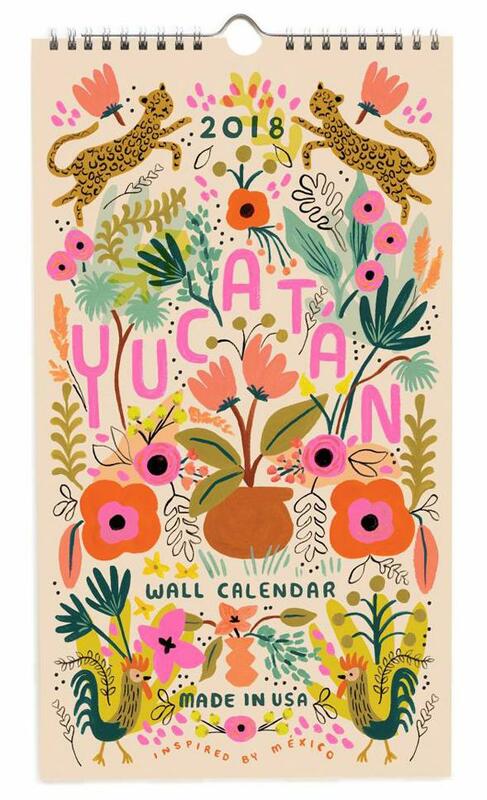 "Inspired by the vibrant flora, fauna, and folk art of México’s Yucatán, this 2018 calendar from Rifle Paper Co features 12 unique illustrations designed to take you on a mini vacation every single month." Now this is just fun. "Star-topped Saguaro snow globe that melts our hearts like the southwestern desert sun." Darling, decorative details! With it's neon embroidery, mirrored accents, and vibrant patterns, this festive cotton canvas stocking is the perfect addition to your mantel. 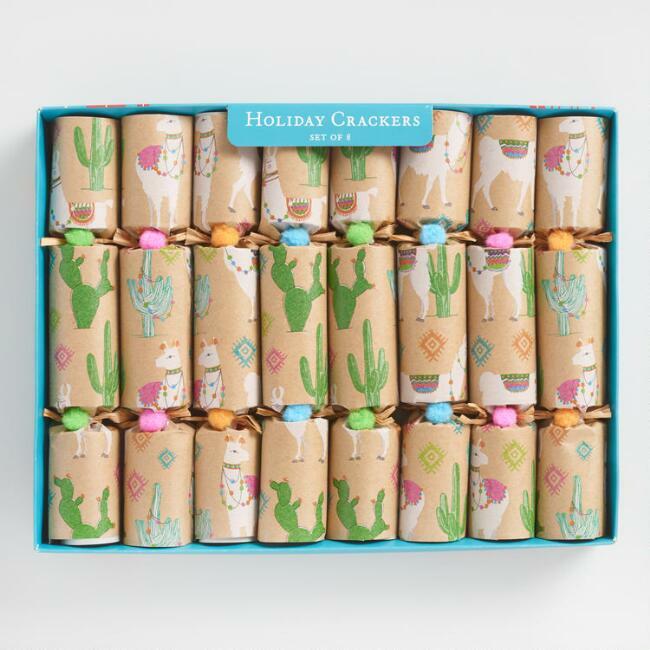 Whether you're using them as stocking stuffers, festive place settings, or tree decorations, these handcrafted Christmas crackers will definitely add a pop of fun to your festivities! They're a British holiday tradition—pull one end with a friend until they snap, and inside you'll find jokes, a party hat and a special gift. 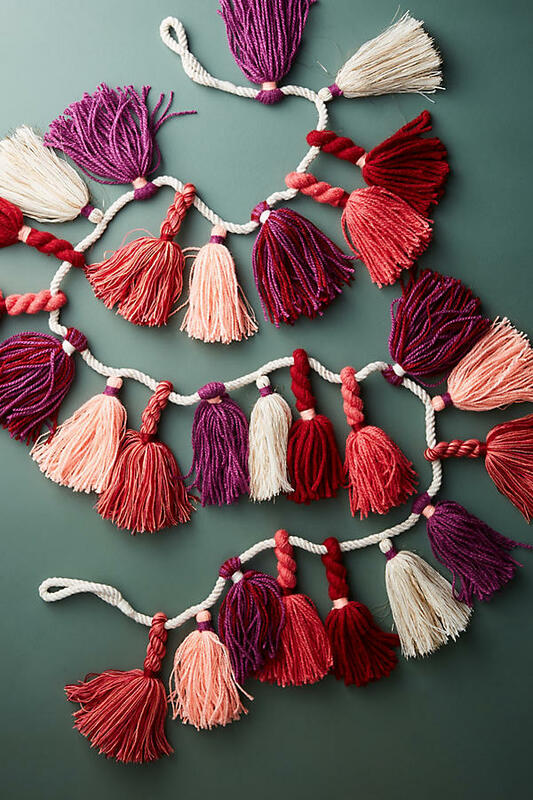 These guys are perfect for desert dwellers, accented with llamas, cacti, and bright pompoms. Umm... does this one really need an explanation? This unicorn is ready for the party! The boldly colored flora-and-fauna pattern on this cotton tree skirt is inspired by traditional Mexican patterns, and it's a lot prettier than your average tree textiles!